In Charlotte off Park Rd & Selwyn. Carolina Express Clinic offers low-cost school & travel vaccinations for your kids & loved ones right in South Charlotte. As you & your family gear up for school or travel this season, make sure your vaccinations are up to date. Walk right in off Park Rd & Selwyn Ave, we are located in the Park Selwyn Plaza. 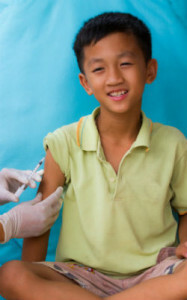 We offer low wait times for your school & travel vaccinations right here in your neighborhood. The US government recommends certain vaccinations for all passengers travelling abroad. The Center for Disease Control (CDC) maintains an updated list of all recommended vaccines for travelers leaving the United States, which varies by travel region. The only ‘required’ vaccination is for yellow fever for travelers headed to certain countries in sub-Saharan Africa and tropical South America. Call us today or walk-in with no appointment needed. Located off Park Rd. & Selwyn Ave, Carolina Express Clinic is here to deliver fast, personalized care for all your vaccination needs. Come see us today!